04/11/19 We will continue our search for 47-year oldThomas ‘Tommy’ Lynch, Jr. who was reported missing on September 8, 2018. Mr. Lynch was last seen in the Bangor WalMart and Kobe’s area . 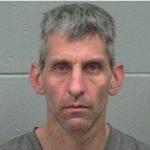 A recent Bangor Daily News article is found -here-. 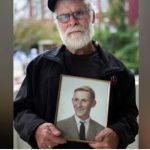 Also, see Bangor PD’s info on lostnmissing.org webpage – here- WABI TV ran a couple of articles and a video -here- and -here-. Foxbangor and Q106.5 each posted a short story found -here- and -here-, respectively. 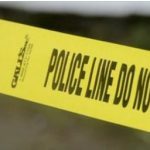 Maine State Police said a deer hunter discovered human remains in the woods off Grindleville Road in Blue Hill the morning of Nov. 7 State Police have been looking for 37 year old Jessica Grindle of Blue Hill since August when she was reported missing. BDN article Thankyou DEEMI volunteers for searching. DEEMI search aircraft and ground search teams were in the Auburn area almost daily during a three-week period looking for 5-year old Valerio McFarland, who along with his 9-year old brother, fell into the Androscoggin River on April 24, 2018 and were swept away. Valerio’s body was discovered by a search kayaker 5-miles downstream on May 14. 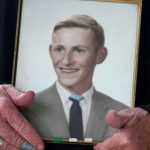 Here are just a few early articles from the Sun Journal -here- and -here- and a couple from the Bangor Daily News -here- and -here-. DEEMI SAR searched the Kenduskeag River downtown and near the confluence of the Penobscot River in Bangor, Maine, Friday afternoon, March 2, 2018, looking for 22yo Peter Manuel who was seen entering the Kenduskeag about 01:00 am this morning. Update 05-23-18, The body of Mr. Manuel surfaced by the docks at Tthe Seadog restaurant in Bangor. The 114-day search was the longest mission ever undertaken by DEEMI. The next longest was 86-days. Read a BDN article about the finding -here-. 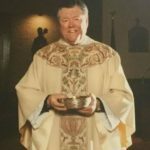 On December 2, 2016, Paul Francis III, aka ‘Junebug’, disappeared after his shift as a cook at a local pub and reported missing on December 4. Mr. Francis’ family asked DEEMI Search & Rescue for their help in locating their missing family member. 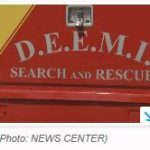 Based on available data from local and state sources, DEEMI conducted a number of searches focused mostly along the Kenduskeag Stream and the Penobscot River. Other search areas included University Forest, Orono and a wooded area near the Old Town municipal airport. On January 25, 2017, a male body found in the Penobscot River downstream in Bucksport, was confirmed to be that of Junebug. 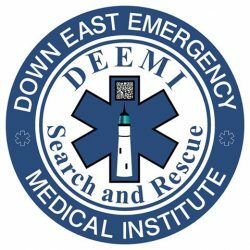 08/04/15 – DEEMI has joined in the search for the two missing teenage boys in Florida the search after the Coast Guard began to pull back its resources. People reached out to our organization on social media asking for their help in finding 14 year olds Austin Stephanos and Perry Cohen, who went missing off the coast of Florida almost two weeks ago. A BDN article – HERE- The boy’s boat was found weeks later but no sign of the teens.